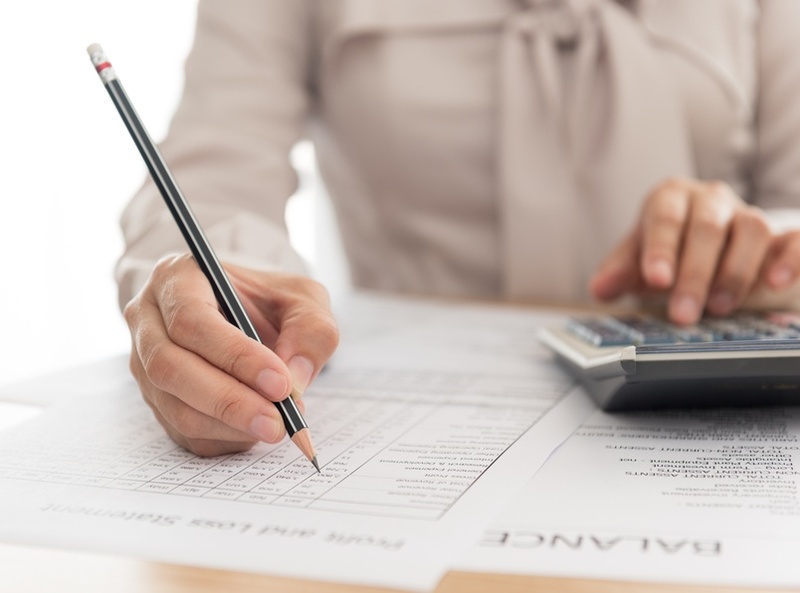 Dealing with payroll deductions in Canada can be a difficult process, fraught with potential mistakes and grave consequences, delivered by the Canada Revenue Agency. The CRA is currently cracking down on payroll compliance, auditing companies for misclassification and errors in payroll deductions. This can be daunting to any new venture that's seeking to make their mark on the Canadian landscape. It's important to know what to expect when dealing with payroll deductions in Canada, how to determine your deductions, and what avenues to take. Also, it's worth looking into what potential mistakes are made most often and how you can avoid them. First, there are a number of responsibilities as a business owner that you need to undertake in order to ensure proper Canadian payroll compliance. Opening and maintaining a payroll account and getting your employees’ information are only the tip of the iceberg. In order to determine your deductions, you need to deduct CPP contributions, EI premiums, and income tax from your employees’ paychecks. The deductions then need to be remitted along with your own share of CPP contributions and EI premiums when they are due, which is determined by you calculating the average monthly withholding amount (AMWA). When you fill out your tax forms, you're also going to have to report the employee’s income and deductions in an appropriate T4 and T4A slip. With all of these steps, it can be incredibly difficult to keep up with payroll regulations and errors can often occur. Mistakes with payroll deductions can be pretty devastating, particularly if you're a small business that's already working within the financial margins. Having to pay fines with interest can stymie any progress that a business is trying to make, not to mention breed distrust and a lack of faith in employees when they get overdeducted in their paychecks. Finally, if you get caught up in a payroll audit, paying your legal team alone can break the bank and leave your enterprising new venture into the Canadian market a veritable shipwreck. It helps to use the CRA's Payroll Deductions Online Calculator, which can determine the provincial and territorial deduction amounts. All you need to do is enter your data into the calculator. However, there are some warnings against this, with the CRA's website claiming no responsibility for miscalculating deductions. Ultimately if there is an error in your remittance, you won't be able to blame the calculator on it. Fortunately, there are alternative avenues that you can take which will prevent you from making errors in your deductions and save you time and money so you can focus on your business. 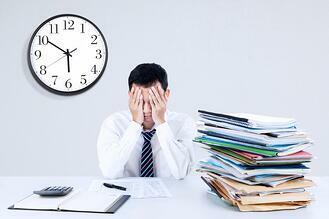 A payroll provider is going to be able to figure out all your deductions and remittance, and process it all on time. You'll be working with a staff experienced in following strict compliance, so you no longer have to worry about keeping up to date with new regulations, or making a costly mistake that sets back the growth of your company. For a monthly flat rate, you will have access to an existing infrastructure that can adapt to the unique qualities of your company and save you the hassle of having to train your own in-house employees, with their own deductions, benefits and premiums to consider. They'll also be able to take care of a number of HR related tasks, giving you a great package, all for the price of one-third party provider. Whether you're new to business in the country, or just want more information on payroll deductions in Canada, it can be a complicated thing to delve into. As an employer, you're required to deduct certain things from all paychecks for Canadian employees, regardless of your country of origin. There are various kinds of remittances, but also different types of remitters on top of that and that's why it's important to identify precisely which category you fall into, to ensure everything is smooth sailing. What Kind of Remitter Are You? In effect, the kind of remitter you are is highly dependent on your average monthly withholding amount (AMWA)—a number that's made by adding up all of the different deductions you're responsible for and paid on behalf of your employees in the calendar year two years ago. Your AMWA is then found by dividing that number by the number of months you made payments in. The AMWA is important when it comes to payroll deductions in Canada because it dictates the type of remitter you are, and thus, how often and when you have to file your deductions with the Canadian Revenue Agency. A regular remitter has an AMWA of less than $25,000, which means all deductions are due on or before the 15th day of the month after the month you last paid your employees. If you qualify as a quarterly remitter (deductions of less than $1,000, or in some cases $3,000) your due dates are the 15th day of the month after the end of each quarter. Quarterly remitters are often smaller businesses, as you can guess. It's important to understand what category you fall in to ensure your remittances are filed on time, or else there could be serious problems with the Canadian Revenue Agency. Payroll deductions in Canada are relatively simple, but it is critical that they are done correctly or you could face the wrath of the CRA and open yourself up to lawsuits by effected employees. This includes contributions to the Canadian Pension Plan, of which an amount isn't just deducted from your employees’ paycheck, but your share of the contribution must be included as well. The same goes for employment insurance premiums, which are also shared between you and your employee. Any and all income tax that applies must be deducted as well, and all of these things need to be clearly stated on each pay stub, including the current deductions and the total of all deductions made that year. What If There Were No Remittances? While a rare situation, sometimes there are simply no remittances to make. Thankfully, when it comes to payroll deductions in Canada, there's an easy answer to that. If you simply didn't have any employees, you will have to submit nil remittance information for your payroll program account. The CRA has a specific program set up whereby you can notify them of this. There are a few options—if you have a 'My Business Account' (or a 'Represent a Client' account) through the CRA's website, you can log in and provide them a nil remittance as easily as that. Alternatively, you can use TeleReply, which is a quick phone service, as long as you currently have no employees and the account number printed on your remittance form is correct. In that case, you don't even have to mail in your form; you can fill it out and keep it for your own records. If you happen to be a non-resident, you can also use the Non-Resident TeleReply service. On the off chance you're not a fan of online service or doing it by phone, you can always fill out the form on it's own and mail it to them; just make sure you state clearly when you expect to make deductions next. Understanding Canadian payroll deductions is an important step in paying your Canadian workers properly and legally. When you hire Canadian employees, you must deduct the appropriate taxes and other government withholdings from their paycheques. 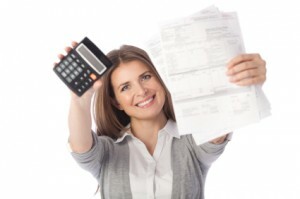 But to do so effectively, you need to know the ins and outs of Canadian payroll deductions. Below we’ll get you started on the basics you’ll need to understand so you can start the process of paying your workers in Canada. Every pay period, you’ll provide your employees with a pay statement, which is a record of the money they’ve earned, showing an hourly rate and number of hours worked, as well as the deductions you’ve withheld. The total earnings on a pay statement will be the highest number—it includes the employee’s gross income as well as all the taxable benefits, like RRSP contributions, and taxable allowances, like car, phone, or travel per diem. The premiums and the tax rate that you’ll withhold for employees will be in part determined by these earnings. The gross income is the dollar amount associated with the employee’s salary or wages, commissions, and earnings before you take off any Canadian payroll deductions. Net pay on the other hand, will be several hundred dollars lower than the gross income because it’s the dollar amount left after all the deductions have been removed. 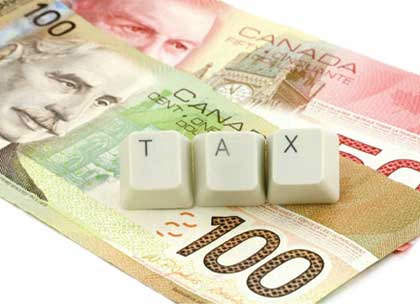 By law, you’ll have to deduct federal and provincial taxes. The rates will differ depending on the province your business is operating in, the employee’s classification, the employee’s wages, and the TD1 form that your workers filled out when they were hired. Income tax rates are graduated in Canada, which means that the higher the income bracket the employee is in, the higher percentage of taxes he will have to pay. This percentage can range from 15% to 29%. CPP is a mandatory federal program. Employees pay into the program throughout their years’ of work and once they retire, after 60 years of age, they receive benefits from their contributions. Note that if you’re operating in Quebec, you’ll be deducting for the QPP instead of CPP. As the employer, you’ll be contributing to this as well. Employment insurance is deducted from everyone’s salary until the annual maximum has been achieved. It protects employees by providing financial assistance to those who are eligible if they become unemployed or need to take a leave, among other situations. As the employer, you’ll also contribute a share to EI. Income tax, CPP, and EI are mandatory deductions that must be withheld from your employees’ paycheques. However, there are non-compulsory deductions that you might have to consider as well. These can include child support, group insurance premiums, union dues, and RRSP deductions. Once the appropriate Canadian payroll deductions have been made, it’s the employer’s responsibility to remit these withholdings to the Canadian government by its deadlines. Understanding Canadian payroll deductions will help you pay your employees properly at each pay period. 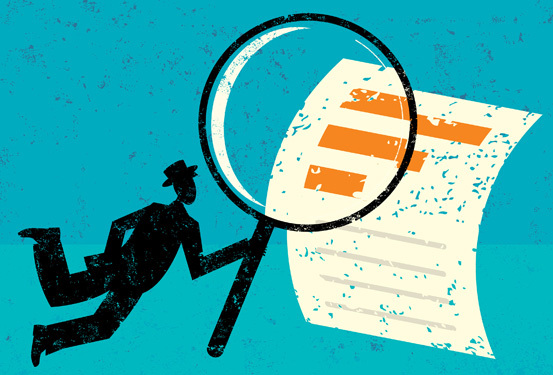 Many factors come into play and deductions can vary from employee to employee and business to business, so it’s important to understand all the nuances of payroll. If you’re not well versed in Canadian payroll legislature, you might want to consider outsourcing your payroll to a payroll provider. The payroll provider can help take the load off your shoulders—it will calculate, deduct, and remit your Canadian payroll deductions for you so you don’t have to worry about understanding every aspect of payroll legislature. Employing Canadians? You'll need to Understand these Payroll Taxes! This article was originally posted on August 1, 2013. When it comes to understanding Canadian payroll, your first instinct may be to enrol in a payroll class to help your payroll and HR department learn the specifics. For those companies outside of Canada, this search is in effort to understand foreign payroll compliance and is often handed over to someone hesitant to learn a new set of laws when they are already comfortable with their own. Canadian rules and regulations when it comes to paying an employee can be vastly different, especially when compared to a country such as the United States. These differences can exert a level of frustration on the payroll or HR person who is already schooled in one set of legislative compliance. Federal payroll taxes including the Canada Pension Plan, Employment Insurance and Worker’s Compensation. Employee and Employer deductions and the remittance schedules assigned to each tax account. Employment standards when it comes to overtime, statutory holiday pay and vacation pay and a section on how these vary from province to province as well. Not only should the above information be covered in a Canadian payroll class but the payroll and HR department need to be aware of the over 1700 rules and regulations when it comes to the Employment Standards Act which also varies from province to province. Health & Safety and a Return to Work program should your worker be injured. Termination and pay in lieu of notice. Note: there is no ‘At Will’ employment in Canada. How to properly compose an employment contract ensuring that all clauses meet employment minimums. 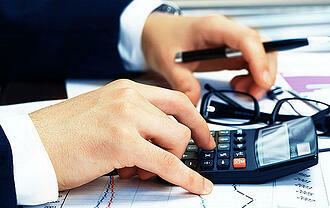 Complete compliance when it comes to calculating payroll taxation. Correct, on time remittances with all government bodies in every province. Employment standards expertise ensuring you meet your due diligence. Certified experts who understand the law and keep up to date on its changes. The freedom to focus on your business. Canadian payroll processing doesn’t have to be complicated and you don’t have to take a new field of study to get it done. The Payroll Edge is a Canadian based payroll processing company specializing in helping American and foreign companies expand their workforce into Canada by acting as the employer of record (EOR), a similar service to a PEO in the U.S. We also take care of small businesses in Canada who don’t have the time or expertise for payroll. The Payroll Edge offers seamless workforce expansion into Canada without the daunting task of understanding foreign employment compliance. Contact us today for more information on how we can help your business. Canadian payroll deductions aren't easy to understand. There are numerous agencies and multiple levels of bureaucracy involved. Failing to correctly navigate the payroll maze can leave you facing fines, administrative penalties, and back payments to employees and government agencies. If you've decided to handle your payroll on your own, there are a few things you need to do to make sure you adequately understand Canadian payroll deductions. 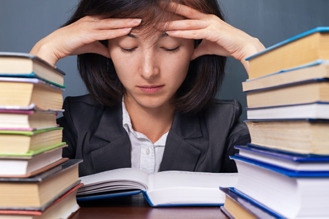 Payroll experts typically spend years in school earning degrees that let them navigate Canadian payroll laws. Many of them work as interns while in school, building real-world experience to go along with their education. After school, there are certification exams and more work study, just to make sure that everything they learned in school sticks. If you have the time, and the desire, you too can develop the deep understanding of Canadian payroll deductions that these students have. Of course, what you learn in school can change with a legislative whim. Rules and regulations that applied last year can be completely different in the upcoming year. That's why payroll professionals are constantly learning. They attend conferences, read journals, and take continuing education classes to make sure they're up on the latest changes. If you want to understand Canadian payroll deductions, you need to be prepared to devote time to keeping up with changes to those deductions. The best way to understand Canadian payroll deductions is to let experienced professionals worry about them. You already have a lot to deal with running your company, trying to be all things to all people will simply stretch you too thin. 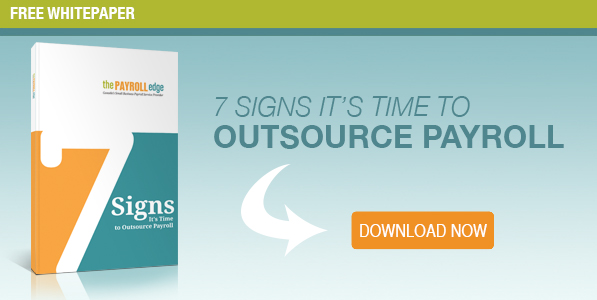 Most businesses outsource their legal departments, logistics, and maintenance because they don't have the time or interest to handle those things in house. Payroll deductions are no different--there are seasoned professionals available who can handle all of your payroll needs, without a great expenditure of time, effort, or money on your part. 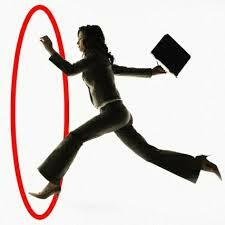 You and your staff should focus on your core competencies and running your business. Time spent learning to micromanage every aspect of your business is time that's not spent maximizing the value of your business. Could you learn to be a payroll expert, and handle all of your payroll deductions in house? Of course you could. However, unless you're running a payroll service, how does that further the long term goals of your company? Stick with what you do best, and let a payroll service provider handle the rest. Some businesses are under the impression that Canadian payroll deductions will make up the majority of the red tape they have to deal with. While Canadian payroll deductions can be incredibly complex, they’re still just a drop in the bucket compared to all of the other legal and administrative hoops you’ll have to jump through. Long before you have to worry about Canadian payroll deductions, you’ll have to worry about meeting all of the legal requirements to get your business up and running. Meeting those requirements initially, and continuing to meet them for as long as your business operates, can be far more difficult than worrying about Canadian payroll deductions. Whether you’re a US or Canadian business, there are certain tasks that you will be expected to perform every day to keep your Canadian operations in compliance. Timekeeping, employee classification, workplace safety, and providing legally required documentation are just a few of the tasks on your agenda. You’ll also be required to provide health and safety training for your employees and deal with any jobsite inspections that different government agencies deem necessary. Once you’ve successfully completed all of those tasks, you can start in on all of the things that actually make your business profitable. If you’re a US business operating in Canada, then the legal hurdles become higher and more frequent. Before you ever have to worry about Canadian payroll deductions, you’ll have to establish a business that can legally hire Canadians. That means establishing a physical presence in Canada, setting up banking and government accounts, procuring proper insurance, dealing with inspections and licenses, and meeting any other industry-specific requirements. You’ll spend a lot of time and money, long before you can legally start operating in Canada. If you choose to handle everything on your own, you’ll have to learn an entire foreign legal system in your spare time. If you miss anything or make any mistakes, the time and costs will increase dramatically. Fortunately, there’s a single solution for US and Canadian businesses. The Payroll Edge is a payroll service provider that provides all of the administrative and management services a business needs for its day-to-day operations. These services include everything from workplace health and safety compliance, to those Canadian payroll deductions you were so worried about. They can even handle hiring, classification, and management of employees. 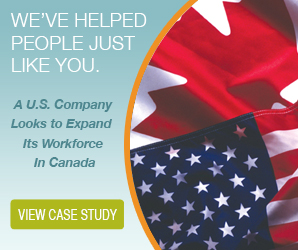 If you’re a US business moving into Canada, The Payroll Edge can act as an Employer of Record (EOR) for your expansion. 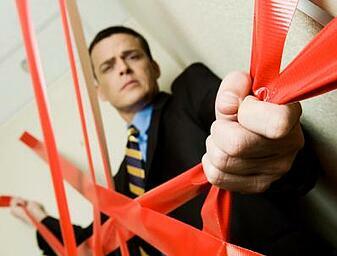 Using their EOR services, you can avoid all of the red tape and legal hurdles involved in setting up shop in Canada. An EOR provides you with everything you need to get up and running in Canada. They have a physical presence, all the necessary government and banking accounts, and the legally required insurance. When you hire an EOR, they can immediately begin hiring and managing Canadian employees on your behalf. You won’t have to spend months setting up shop and learning a new legal system. 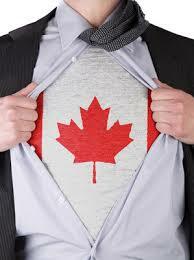 With the help of an EOR, your Canadian expansion requires little more than a telephone call.